You are here: Home / Uncategorized / Are Manly Skills Obsolete for the Average Man? In keeping with this shift, Askmen.com recently published an article titled “Obsolete Man Skills You Should Ditch”. The article lists seven different skills that have traditionally been associated with men, argues for why they are obsolete, and gives suggestions for skills that men should develop instead. While I want to examine these suggestions in more detail, I’ll point out up front that, in nearly every case, the author has set up a false dichotomy. There’s simply no reason to choose between the two skills; instead, men should develop both. First on the list is hunting. The article correctly points out that men no longer need to hunt to provide food for their families. Instead, we can simply go to grocery store or a restaurant and obtain food, often doing so more cheaply than we can get it through hunting. Instead of learning to hunt, the article suggests that men should learn to cook. Cooking, it is argued, is cheaper and typically healthier than simply ordering food online, and it is easier to learn than most believe. There’s no doubt that this argument is true. Men should learn to cook. Men have cooked for all of human history. The vast majority of armies that journeyed to battle and ships that have sailed the seas had their meals made by, you guessed it, men. In fact, many of the best chefs in the world are men. So, cooking is quite masculine. The real question is whether hunting is obsolete. If you’ve spent any time reading my blog, you know the ultimate answer is no. However, there is a sense in which hunting is obsolete. It is largely obsolete as a necessity for providing food for your family. But in the sense of providing value to men, it is far from obsolete. All people, men included, have a need to be competent. But for men, not just any competency will satisfy. We need to be competent in things that enable us to live a life of adventure. While learning to cross-stich may be a skill that provides value to men, such skills ultimately do not scratch where they itch. Men need skills that allow them to develop, use, and express strength and courage. While cooking is a wonderful skill that I highly recommend, it simply cannot compete with hunting as a masculine skill. Thus, for greatest life satisfaction, learn to hunt, kill, butcher, and, yes, cook wild animals. It’s a very masculine and satisfying life. Second on the list is fighting. The article argues that few confrontations ever actually result in a fight, and the use of brute force as a problem-solving tactic is largely frowned upon in modern society. Both observations are correct. Instead of learning to fight, the article suggest learning to mediate, to promote compromise and peaceful dispute resolution. Again, this is a worthy skill, and one that men have always done. Yes, men have always been fighters, but even warriors negotiated and persuaded. Just like the hunting/cooking scenario above, fighting and mediating are not mutually exclusive, and men should learn to do both. While fighting may be less prevalent today than ever before, knowing how to fight is still a necessary skill. Here’s the fact: evil men exist and they always will. Evil men cannot be negotiated with. They cannot be reasoned out of their behavior. They will only be stopped by good men who can do violence to stop them. If good men stop learning to how skillfully exert violence, evil men will lead us. If an evil man approaches your family, I pity the man who is good at mediation but unskilled at fighting. That man has failed his family. Be a persuasive mediator, sure, but be able to unleash hell when needed. The third skill that is suggested to be replaced is fixing your car. The author argues that cars are becoming more and more complicated to fix because they’re increasingly digital, the use of public transit, bicycles, and ride-sharing make the connection between owning a car and fixing it more distant. Instead, he argues that men should learn to code, as the net is now the great connector of people, rather than driving. I have no idea why a man cannot learn both. I’m not mechanically inclined. Fixing things in general is difficult for me. But I can change my oil and change my tires. You don’t have to be an auto mechanic or a handyman, but we should have a basic knowledge of how to keep things we own up and running. If you’d rather code, that’s fine as well. Both fixing cars and writing code can either be learned or paid for; there’s no reason you can’t learn both if you’re so inclined. The fourth skill addressed by the article is similar, home repairs. Because less people own homes, the article argues that men should learn to decorate instead of fixing things. Again, this is a false dichotomy. Men can learn both. In fact, a man should take care of his space and make it presentable. That ability, as the author fails to note, is greatly enhanced by one’s ability to fix things. However, the problem solving instincts of men lead them to want to fix things around the house. If you’re not so inclined, that’s fine. But men need to be competent. So if you’re not competent around the house (and I’m largely not), you better bring competence in plenty of other areas. Economically speaking, skilled tradesmen are in short supply and stand to make a fantastic living in the years to come. The fifth skill that the article suggests should be replaced is being a leader. Surprise, surprise, another plea for men to step aside. The article equates leadership with control, and argues that men should not expect to be in control, but should rather be able to openly communicate and collaborate with coworkers of “all genders”. Collaborating is certainly masculine and leadership does not necessarily entail control. Men have always worked together, even with women, to run things. While that may have been less true historically in the workplace, men have still always needed and used the skill of collaboration, whether it was at home, in their communities, or in battle. While being able to work with many different types of people is a useful skill, so is leadership. Leadership is not necessarily control, but rather the ability take other people to a place that they would not otherwise have reached. Almost every sports team has a leader who is not in control. Instead, because of his words and actions, the other players perform better. Whether to take charge and give direction (lead) in a particular moment, group, or context will always be a judgment call. For example, I will sometimes defer if I think someone else is better able to do so in that context. However, in whatever role I have, I’ll be leading in the sense that I’m fulfilling my role at a high level and inspiring others to do the same. What’s more, I’ll be capable of taking charge and giving direction. So, in any context, men need to lead in the sense of fulfilling their role in a way that inspires others, and they need to be willing and able, if appropriate, to take charge and give direction. Neglect this skill at your own peril. The sixth suggestion is for fathers to stop being a disciplinarian and instead learn to communicate with their children. Here’s where the article really jumps the shark. The suggestion is that men stop “toughening [their children] up by teaching them how to shoot, how to fight, how to push through their pain, how to overcome their fears”, as these things lead to “repressed trauma, difficulty communicating about feelings, and a dire need to see a therapist”. Instead, it is stated that fathers should encourage their children to express what they think and feel, to pursue their own interests, and become their own people. In short, the article suggests parents should stop parenting. They should provide food, shelter, and other resources, and simply be passive facilitators of their children’s development. This suggestion belies the author’s assumptions about life and masculinity. If there is no objective reality about being a man, then a father should step out of the way and let his son become whoever he is inclined to be. If there are no masculine standards, then fathers should cease to teach and mold their sons. While those may be the author’s assumptions, they do not reflect reality. Across history and cultures, men have always valued strength, courage, competence, and status. As a result, any good father must ensure that his sons develop these masculine virtues, along with the moral virtues, and become good men who are good at being men. Within those parameters, a father can give his sons freedom to develop and explore their own interests in music, art, drama, literature, design, cooking, sports, etc., and so become their own people. The final suggestion is that men should stop holding their emotions in and instead learn to talk about their feelings. Men, the article states, need not be strong, silent types who never cry and won’t admit if they’re sad or afraid. Instead, men should understand their feelings and how to handle them and should perhaps consider therapy even if they “don’t feel like [they’re] struggling”. 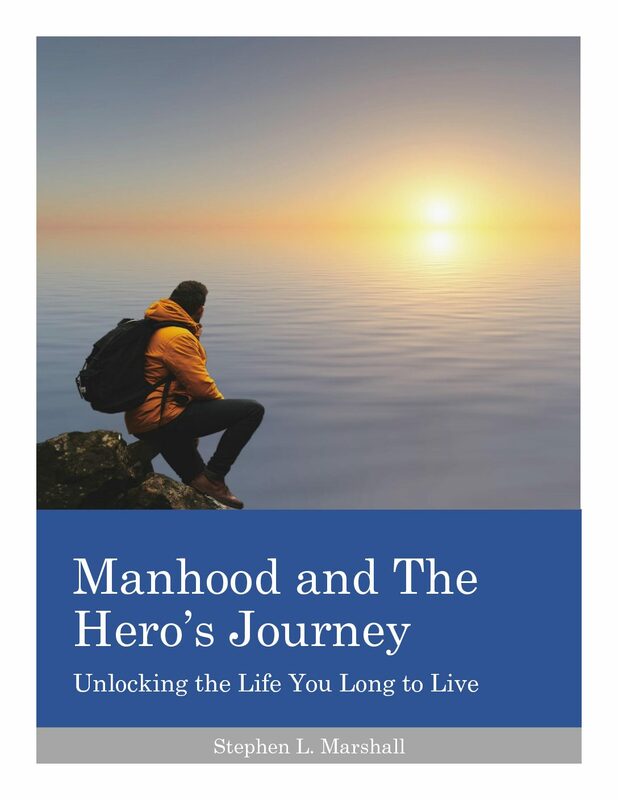 Yes, you read that correctly, the author suggests therapy for men who are not struggling with their emotions. Again, that suggestion reveals an assumption, namely that men need to talk about feelings. History says otherwise. In fact, a better case can be made that men’s mental health suffers as a result of talking about their feelings. I don’t necessarily think that’s the case, but men have thrived for thousands of years by dealing with their emotions differently than women. I agree 100% that men should understand how to handle their feelings. Emotional control is a necessity for being a man. But the author conflates “handling” one’s emotions with talking about them. If something bothers a man, he should be free to discuss that with others, and every man needs relationships in which he can do that very thing. However, not every emotion is worth discussing and men often have no desire or need to discuss their feelings. Instead, a man should distinguish between those emotions that advance his cause and those emotions that hurt his cause. If he can’t shake an emotion that hurts his cause, he needs to talk about it. But the first step is simply to reject and overcome the emotion. If that fails, then talking about it with others is the next step. To the extent the author wants men to stop controlling their emotions in favor of discussing them, he’s missed the boat. Following the author’s advice would result in weak, emotional, chatty men who cook well, have nice looking homes, ride the bus, design nice websites, defer to the women around us, have little direction for our children, and who rely on other men to protect us and our families. If that sounds like a satisfying life for a man, give it a shot; but you might want to go ahead and schedule that therapy appointment. Book one for your kids as well. You’re both gonna need it. While there’s no doubt that the evolution of society has rendered some skills unnecessary for physical survival, many of those skills remain important for men to live a life that satisfies and enthralls them. Men need to do some things, not because survival depends on them, but because their contentment depends on them. Adventure, strength, courage, competence, friendship, and honor. Competence entails developing manly skills, and manly skills aid in living a life of adventure. This is the man’s life. Godspeed.